RS Components (RS), the trading brand of Electrocomponents plc (LSE:ECM), the global distributor for engineers, has unveiled a new app for iOS, Android and Windows devices. 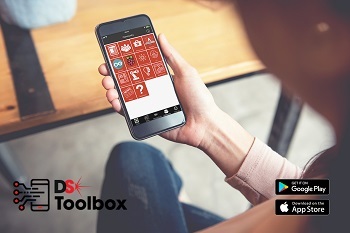 The DesignSpark Toolbox app is available to download free-of-charge, and provides a single point of access to common electronic reference materials, calculation and conversion tools in an easy-to-use format for electronics design engineers, makers and students. RS Components and Allied Electronics & Automation are the trading brands of Electrocomponents plc, the global distributor for engineers. We offer more than 500,000 industrial and electronic products, sourced from 2,500 leading suppliers, and provide a wide range of value-added services to over one million customers. With operations in 32 countries, we trade through multiple channels and ship around 50,000 parcels a day.